At the CES 2018, a little-known China-based automotive company called Byton is making big headlines, much like major car manufacturers have at the Las Vegas extravaganza so far. 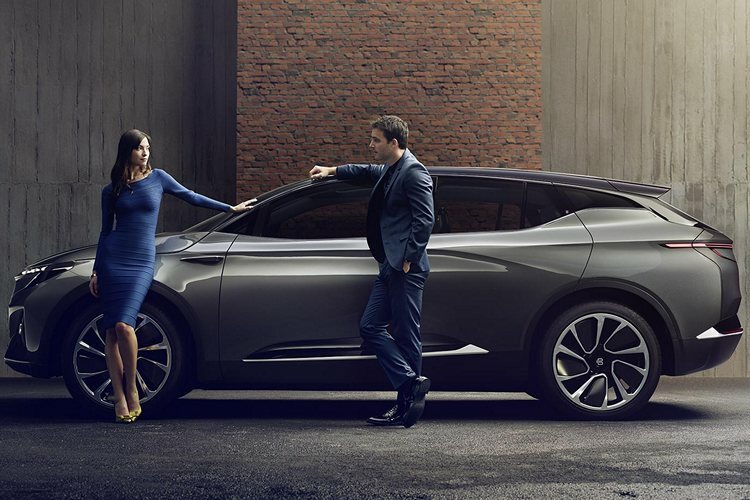 Byton unveiled its first all-electric concept ‘smart car’ that it says will go into production next year. 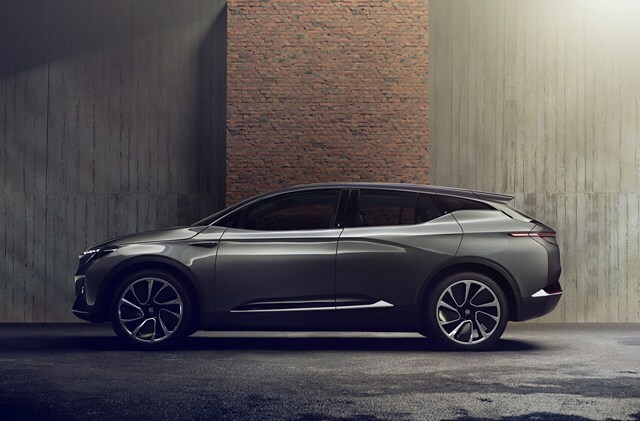 Named the Byton Concept (for now), the vehicle comes with an all-electric powertrain and looks like a futuristic crossover for the most part, although, the company insists on calling it an SUV. In fact, the company actually even referred to it as an ‘SIV’, or Smart Intuitive Vehicle, in its press release. The company also says that it plans to use the same platform for manufacture a sedan and an MPV that will hit the market in 2021 and 2022 respectively. For now, the ‘smart electric SUV’ will be manufactured at the company’s plant in Nanjing, China and, sports a sticker-price of $45,000. It will be available for purchase in the country next year itself, although, buyers elsewhere will have to wait until 2020 to get their hands on it. The company says that the car will come with the L3 ADAS (Advanced Driver Assistance Systems) right out the box, as the L4 autonomous driving technology is still under development. It will, however, be enabled in 2020 via a software upgrade, for the self-driving technology. As far as the key tech specs are concerned, the vehicle will be offered in two distinct options – a rear-wheel drive model with a 71 kwh battery pack and a driving range of 400 km, and a 4×4 model with a 95 kwh battery pack and a driving range up to 520 km. While the former will have a 200 kW powertrain will 400NM of torque, the latter will sport a much beefier 350 kW block with 710NM of torque. The vehicle measures 4,850 mm (15.9 ft) in length, and has a wheelbase of 2,945 mm (9.6 ft). 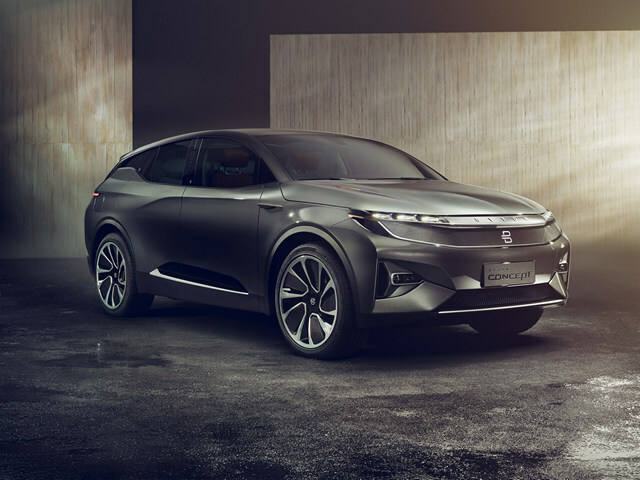 Smart features in the Byton Concept include three facial recognition cameras that replace traditional side-view mirrors and, are embedded in the B-pillar on both sides. The car apparently also includes what the company calls an “invisible door handle” and “invisible antennas”. As part of the so-called ‘Smart Surfaces’ design, the vehicle’s front grill also contains LED lights than can change colors and communicate with drivers and / or other autonomous or smart vehicles on the road.